Hoop Nut March Madness Promo US NCAA Catch #MarchMadness fever on Basketball TV and Solar Sports! Catch #MarchMadness fever on Basketball TV and Solar Sports! Today was a great day for basketball fans the world over as they were treated to the 2016 NCAA Tournament Final Four in Houston, Texas. As the name suggests, the country’s four remaining teams faced off to determine which two schools will vie for the National Championship on April 5 (Manila time). Starting with 68 teams in the fold, the NCAA Division I Men’s Basketball Tournament field was whittled down to four as the search for the number one team in US college basketball neared its thrilling conclusion. Fans from the Philippines have clamored to be part of the “madness,” and Basketball TV and Solar Sports heeded their call, treating college hoop junkies to the excitement of the NCAA Final Four! The first game featured two teams out to end long championship droughts, but by the end of the game, the Villanova Wildcats stood victorious, blowing out the Oklahoma Sooners, who were led by the heralded Buddy Hield. Now, under the direction of head coach Jay Wright, the Wildcats are just one win away from winning their first national title since 1985. Meanwhile in the second game, two Atlantic Coast Conference (ACC) rivals collided as current tournament Cinderella team, the Syracuse Orange, went head-to-head with the East Regional top seed North Carolina Tar Heels. North Carolina is known throughout its history as one of the top schools in college basketball. It has produced some of the best coaches and players the sport has ever seen, including one Michael Jordan. The Chapel Hill-based squad has also been a steady presence in the NCAA Tournament, qualifying for the “Big Dance” in 39 of the last 41 years and 47 overall, second most in NCAA history. The Heels of coach Roy Williams showcased their depth in this game, putting on a show in the second half to eventually defeat Syracuse and punch their tickets to the national championship game. This year’s batch of Tar Heels have already been very impressive, bagging the ACC Tournament championship en route to their NCAA Tournament berth. UNC has also won by an average margin of 16 points in their first four tournament games. They are anchored by seniors Marcus Paige and Brice Johnson, both of whom are keen on on taking home the trophy for the school’s sixth National Title. 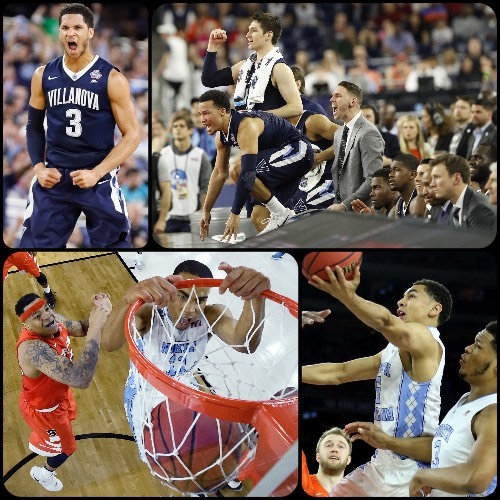 Now both the Wildcats of Villanova and the Tar Heels of North Carolina are set to lock horns in the National Final, and we can all catch the big game on both BTV and Solar Sports. Don’t forget to join the conversation on social media by using #MadnessOnBTV and #MadnessOnSS.